The green island ficus, for the most part, is a gardener’s favorite. This garden beauty with its round shiny green leaves is a low-maintenance plant that can save you time and work in the garden. I have seen these plants over the years making their mark in so many gardens and landscapes designs. What is also great about this plant is that it is a slow grower so no need to worry about constant pruning. The green island ficus is also drought tolerant meaning it can survive on very little water and the added bonus is it is also salt tolerant so if you are living in a coastal area and looking for a plant that can survive the salt sprays which are carried by the wind then this is the plant for you. The green island ficus can complement just about any garden and landscape design but how do we care for these garden beauties which have made a name for themselves. Below we will be discussing how to successfully grow the green island ficus and where to place them in your garden. When planting green island ficus look for an area that gets full to partial sunlight. The soil type should be a soil that has good drainage because these plants do well on very little water. When watering allow the soil to dry out before giving your green island ficus another drink of water. Fertilize your green island ficus with a slow release fertilizer, read and follow the manufacturer’s label because the label is the law. To be honest with you the only garden insect pests that I have come across is scales. These pests can be controlled by applying insecticidal soap. Anthracnose disease is caused by a fungus. The spores are spread when water is splashed by rainfall or irrigation. To bring this disease under control keep the surrounding area clean of debris. Leaves should not be allowed to remain on the ground but should be raked and disposed of. Branches which are disease infected or dead should also be pruned and properly discarded. This disease affects fruit, leaves and the twigs. Signs of anthracnose appears first along the leaves margin, as the diseases progress the entire leaf turns yellow and then brown. At this point the plant’s tissues are dead. Applying a fungicide especially during the rainy season when the pathogen is most active will bring this disease under control. Application treatments should be carried out every 7-10 days. Here are a few ideas where the green island ficus can be installed. Can be planted along garden paths. Growing green island ficus in containers is pretty simple. The container should be large enough for your plant to fit comfortably. Since these plants are low maintenance or can survive on very little water it is best to use a garden soil that has good drainage. The container should have drain holes to allow excess water to drain. Placing the pot in an area that gets full to partial sun is so important for your green island ficus to survive. Fertilize as discussed above with a slow release fertilizer. Since these plants are slow growing the maintenance procedure is low which is so great especially for persons who don’t have the time to put lots of effort into caring for plants but want a few around the home. 1. 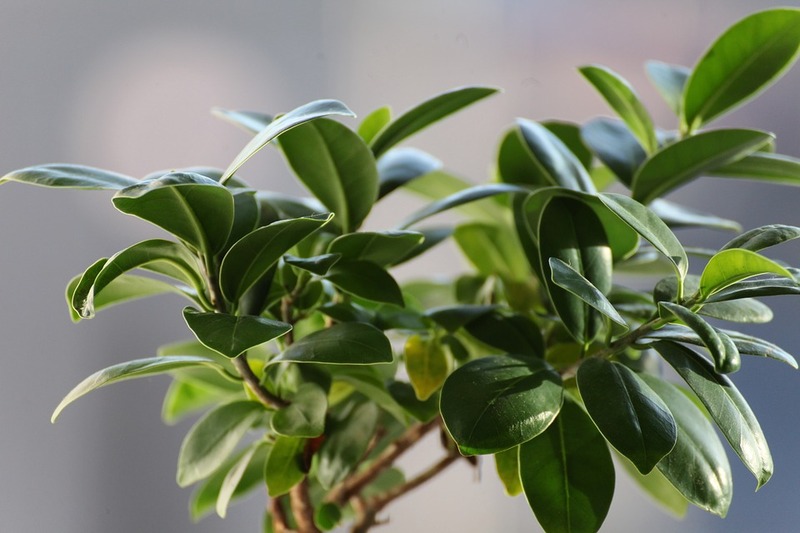 The green island ficus can be grown as a shrub or can be grown as a standard plant. 2. Can be grown in a variety of well-drained soil. 3. Though slow growing can reach heights of 8 ft.
4. The leaves have a natural gloss. 5. These shrubs produce small berries that are hardly seen. 6. The sap of the green island is milk white and may cause skin irritation it is good to wear garden gloves when handling these plants. 7. When installing green island ficus, install them 3 ft apart for proper air circulation. 8. Overwatering can cause root rot so proper watering practice is so important. 9. Because the plant is sappy after you have prune clean your pruner with degreaser, wipe clean with a dry cloth and spray WD 40 because if your pruner is not cleaned after each uses the sap will cause the pruner to become sticky losing its sharpness. The green island ficus is a garden beauty that can work wonders. As said earlier I have seen them used in many garden and landscape designs. So if you are looking for a plant that is low maintenance and not fussy at all then this is the plant for you. The green island ficus has made a name of its self, though a slow grower the green island ficus has proven that it is worth the investment so, invest in these garden beauties that will add flavor to your landscapes and gardens.